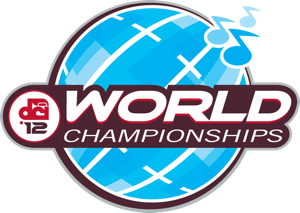 The Drum Corps International Fan Network concludes its 2012 series of Live Webcasts on Friday, Aug. 10 with coverage of the World Championship Semifinals in Indianapolis. The Live Webcast will feature the top 25 corps as they compete for an elusive Finals spot. Experience every step off, rifle toss and impact at Lucas Oil Stadium along with the audience, as they happen. The first corps steps off at 2 p.m.
Two ways to view this webcast are available. A $29.95 pay-per-view option will give you one-time access to watch all of the performing corps in Semifinals. Choose the $65 $40 Live subscription option, or Live+DVD or Live+Blu to gain complete access to all of the 2012 webcasts, on-demand replays of select DCI Tour events, discounts on downloadable media, and more! View the complete 2012 Semifinals schedule.